NoRain nanotechnology means that rain stays out, without compromising the comfort, stretch and breathability of traditional ThermoDrytex Plus warmers. They are a good fitting arm warmer, longish, and with good silicone gripper . They stay in place, and there are no gaps at shirt sleeve or glove. They are most suitable in chilly rather than really cold weather, being lightweight. The brushed inner helps in the warming stakes. I am 175 tall, 70kg, size M was right for me. Super arm warmers - got the xl's, comfortable, breathable with good insulation, slightly fleecy inside -The warmers did repel road spray and a quick shower so kept me dry until I got home. Bought to go with the Castelli gabba short sleeve jersey, the combination works a treat. I'm a tall 191cm chap with skinny arms weighing in at 90kg, and as such upon reflection I might have got away with a size large. Good length in the arms, no gaps between my gloves and wrists, can't ask for more ...... go treat yourself! I got a pair of these just in time to really test them in the cold and rain. The rain just beads on them, and they were good in constant rain. They have a light fleece inner which is comfy and warm. I usually boil when riding but these were not too hot. These are really nice arm warmers. They are slightly thicker and warmer than the Castelli Nanoflex equivalents. Personally, I would recommend these for cold days around 9-14 degrees. I am around 175cm tall and 72kg with, and I bought the medium size, which I'm very happy with. I haven't really tested them in the rain yet to verify how water repellent they are. These arm warmers provide a very good fit and the silicon grippers keep them in place securely without becoming uncomfortable on longer rides. The brushed material on the inside is warm yet breathable. I have only used the warmers when riding in light rain and the material wasn't penetrated although I have not used in heavy rain so can't comment how effective they are in those conditions. I bought a size S and I am 167 cm tall and approx 53Kgs and they fit as the sizing guide suggested. As a regular rider all year round I would recommend the product. Wore these on a wet ride (not really wet enough for a cape) of just over 6 hours and the rain never got through & the fit is excellent. A cold day and they also kept me warm. I wore these on Sunday 13th October for a 3 hour bike ride - wind and rain most of the time. However I stayed warm and fairly dry as the run just runs off these things! Fit wise they are quite slim and long so no gaps and don't drop down. I'm 5'7 10'7 slimish kind of build and a size medium. Also wore the no rain leg warmers and the no rain bib shorts - all excellent! These Sportful arm warmers are warmer and water resistance is on par with Castelli's Nanoflex version. The only difference is the price, which the former is less expensive than the latter. Like other reviewers, watch out for sizing, they run a tad on the smaller side. These are well made, lightweight, stretchy and warm. They're comfortable to wear, and they're nice and long, so you don't end up with cold patches on the top of your arms or wrists, like you get with many other arm warmers. 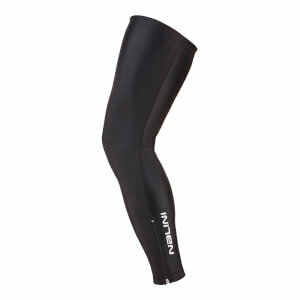 I previously bought Assos arm warmers, but I must admit that these might just be better! Great product - keep rain out. These warmers do a great job in both keeping out wind and rain. I chose the medium which was a good length and not too tight. I like the way the water beads and runs off even in steady rain (not tried yet in a downpour). These are a great product and price.